Ever create a package for a film or television show? Want to learn how to create a SAG Signatory budget? Stay tuned to Reo Bucks Tips for more information. Today's case study focuses on an area I have had previous experience in completing. That is Program Development for Online Distribution. I happen to have plenty of experience failing in this area, as well. In this study, I am the owner of a production company I founded (sounds familiar), and I have learned that I have an opportunity to pitch my shows to Amazon, Yahoo, and Hulu. My task is to "organize three different concepts for a new program . . . that will appeal to a young audience (18-34) . . . cord cutter" demographic. An audience that only uses online services to watch content. These viewers have "cut the cord" to cable and satellite television (Albarran, 2017). This mission called for some assistance from my friends at Assembly Entertainment. Christina Wayne has put together a package for Independent Producers called Television School. Unfortunately, I cannot share images or data in this blog, but what I can tell you is what I would do in this case study with the information I have picked up through professional experience, student experience, as well as learned from Christina Wayne. The program I would like to pitch to all three channels is one that I have been working on for a while. It has several parts that I have told others, and they've most definitely have used them. That's Ok because I don't own ideas. None of us do. What I do hold is copyrights to any of the content I post on my websites, minus the works of creative commons, fair use, or copywritten material that I have previously used and credited. The best part about that is that many of my ideas have been tried and tested. For instance, I worked with a group of graduate students in the USC Producers program, and they later developed an online web series where the audience is allowed to choose the character's path. 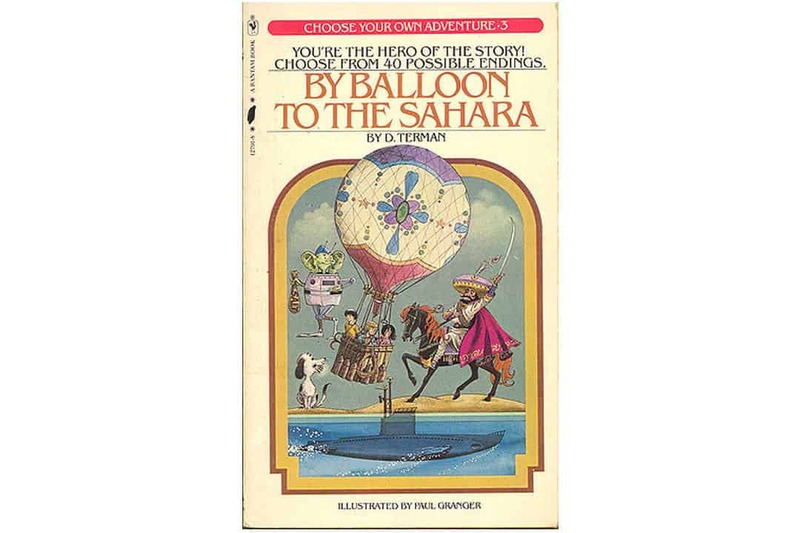 The concept is similar to the "Choose Your Own Adventure" books of the 1980's. 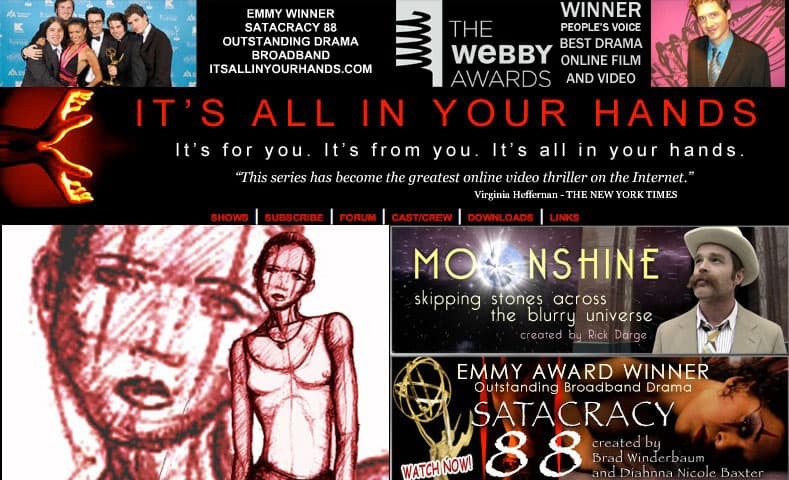 The website was called "It's All In Your Hands," and the flagship show "Satacracy 88" won several awards including an Emmy. For years, I've talked about turning those books into films. That's about all I did though. Yes, I talked about the idea, but it was just an idea. Inspired by Andy Duncan, Matt Cittadino, and Brad Winderbaum, the show I am about to discuss has a similar theme. Ironically, Wayne's list of "shows currently being streamed" on Hulu includes "Satacracy 88." Rico Dawson is an eight-year-old Africana boy, who feels as though outside forces are influencing his world. Unexplainable events begin happening all around him. It's the night of his eighth birthday party, and after a full day of fun with his friends and neighbors, Rico begins hearing strange voices. Immediately, he rushes into his mother's bedroom, because he is scared that a ghost has entered the house. His mother, Wafu Dawson, a 34-year-old Africana woman. She coddles him to calm his nerves and says, "That's normal for a boy your age." Every day the voices get louder and more apparent, and although he fears what might become of it, he overcomes this anxiety. He eventually spends an entire evening listening carefully to these voices. One voice says, "You have to wake him, climb out the window, and farm for nearby gold in the park. Then your character will level up, and gain more unique skills." Rico mumbles, "What does that mean?" He sits up in his bed and looks at the clock, which says 3:00 a.m. Then his curiosity compels him to get dressed and climb out his bedroom window. He walks a few blocks and ends up Griffith Park. Upon arrival, a voice exclaims, "That's it! Now head toward the Miniature Trains." In the distance, a train whistle sounds. He zips up his jacket for more warmth as he walks toward the train station. 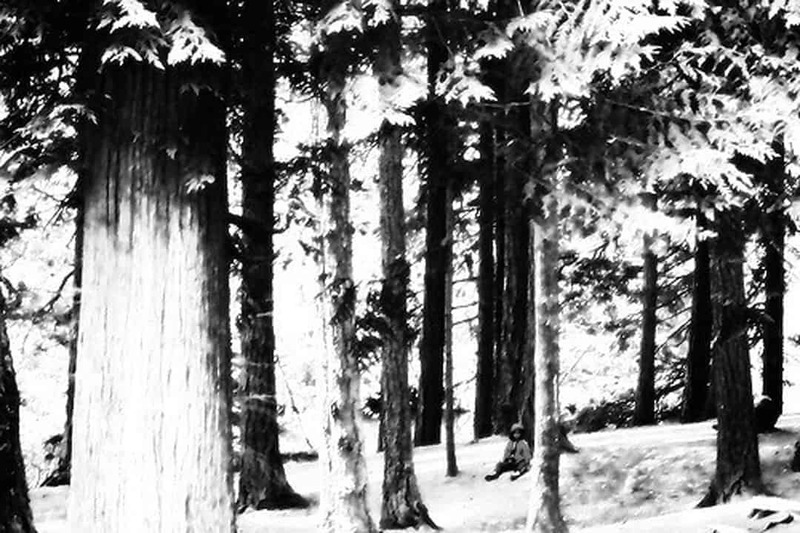 As he gets closer to the station, he can see the miniature train moving through the trees. 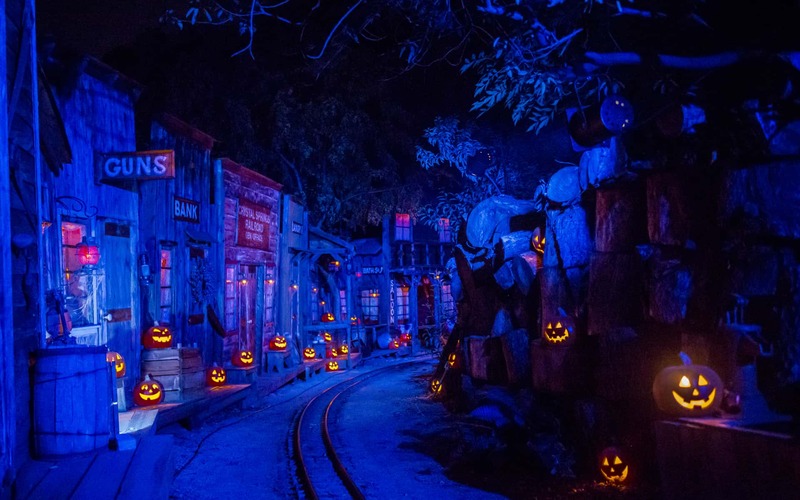 The whistle blows again, "Toot Toot," and the mock town around the station light up. Rico walks into the city and then he blacks out. When he awakes, he is in his bed with a warm damp towel on his head. His mother is at his bedside reading to him. She says, "Are you feeling better?" Confused, he slowly nods a yes. "Good, then get some rest, and I will check on you in the morning," she says. Then she walks out of his room, leaving the door slightly open and says, "Nighty, night." When she leaves, Rico sits in the dark and listens, but the only sound he hears is the houses' central heating system, so he quickly falls asleep. The next day he wakes to see a model train on his nightstand. For the next few days, everything is back to normal. A week later the voices return. In the middle of the night, Rico is awakened by a voice that says, "Get to the train station!" Does he sneak out again and go to the park or will he go back to sleep? Each episode begins unveiling a new plot to the story. Rico is different than other children his age. Students in his school tease him, which makes his a little reclusive. Eventually, he will have to take care of himself without the presence of his mother. In the next episodes, Wafu mysteriously disappears, and the voices begin to guide him. At the end of every episode, the viewers will decide Rico's fate. The next two episodes will include an evil antagonist who is plotting to kidnap Rico and his mother disappearance. To vote, the viewers will have to download the mobile application. They will be able to vote using voice over IP. The app will record their responses and add them to the chatter inside Rico's mind. Those who choose the correct plotline will receive points on the app. Alternatively, those who select the wrong plotline will have points deducted. At the end of the season, the viewer with the most points wins a cash prize, a chance to be in the show, a free vacation, or a free cruise. All photos are copyrights of the corporations & creators listed in the descriptions. All rights reserved. Albarran, A. B. (2016). Management of electronic and digital media. Nelson Education. Lawson, M. (2003). Nasu Chronicles: The Series(Alpha). Beverly Hills, CA: AMHG Publishing.